A very good friend of mine sent me two models for Christmas. 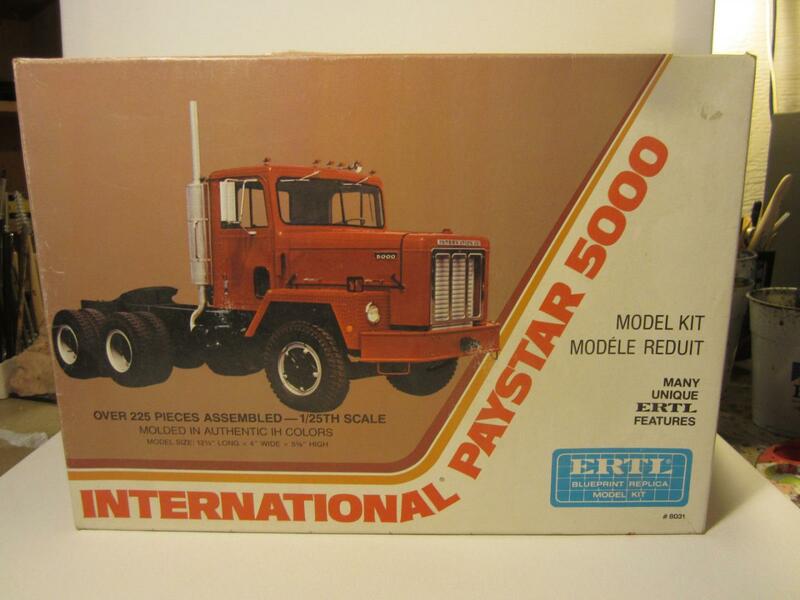 They were shipped together, One Reissued Paystar 5000 (Cement Mixer) and a Original issue of the Dump gravel trailer. 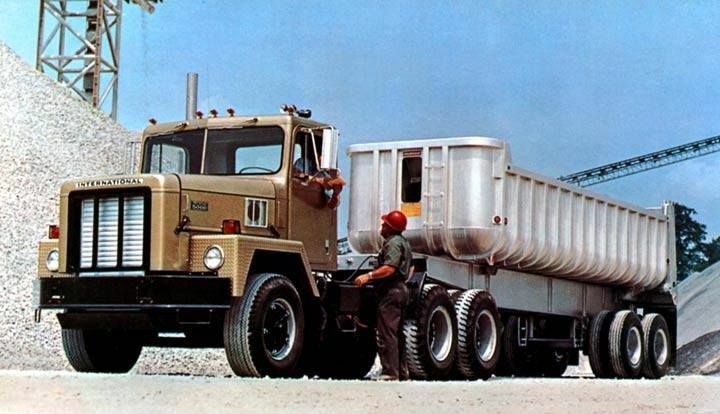 After looking on the internet I found a photo of a paystar 5000 hauling a gravel dump trailer. The first picture is what I'm going to replicate with the mixer kit and Trailer, And I have plans for the mixer parts for another truck kit. Maybe a Transtar 4300 mixer? 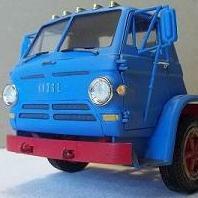 Nice, one of my Favorite trucks. I had a liking for the Paystar 5000. Are you going to do a 2 axle or 3 axle dump trailer. l will be following this build. The cab and engine look Great. Well here is the Paystar almost done, just some touch up paint work , stack , Tail lights and a fifth wheel to go. On to the Trailer next which like the photo will be a duel axle instead of the tri axle. Looking great. Where did you get the rear tires? I like the military tread and it is very close to the original picture. Where did you get the rear tires? . Those rear tires come in the kit. Three of the four Paystar 5000 kits come with them. The only one I am aware of that don't is on the one pictured here. 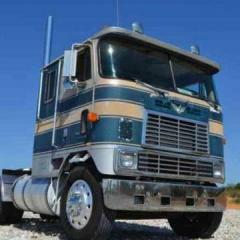 Add Mack rears and a pair of NDT's up front and you'll have a period correct military Paystar 5000. I don't mind the tires, it's something different on the shelf.